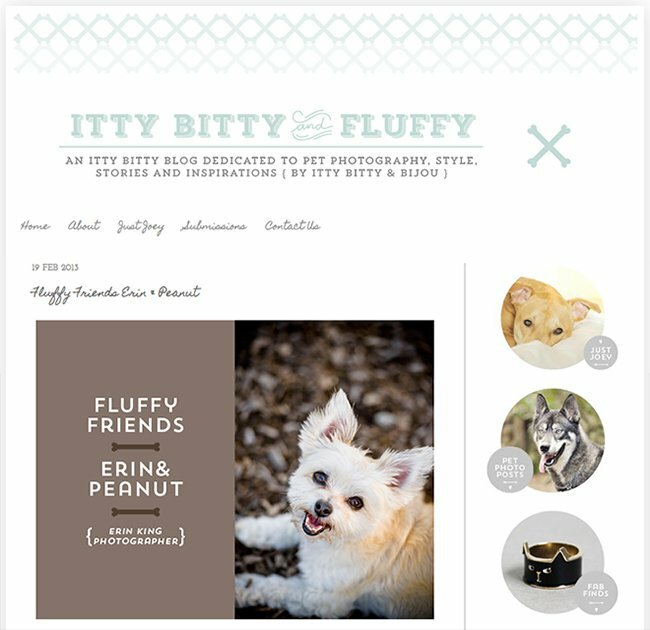 I was contacted recently by the owners of the Itty Bitty & Bijou website to be featured on their new blog dedicated to pet photography, styles and inspirations Itty Bitty & Fluffy. They have featured me today in a more personal post about myself and my pet, Peanut in a Fluffy Friends post. It features some of the photos I’ve taken of peanut over the last few years and well as some more personal info about our relationship and what she means to me. It really was hard for me to only write a small amount about this! I will be featured on their blog again next week with a pet photography post, so keep an eye out for this as well. I’m loving their new website. Thanks for sharing this Erin and your story!